Lily has been an important part of our team for the past 5 years. She is our financial coordinator, and insurance specialist. If you have been diagnosed as needing any dental treatment, prior to scheduling or starting the procedure, Lily will go over in detail with you the financial aspect of your treatment, and make sure that you find a solution which works best for you. 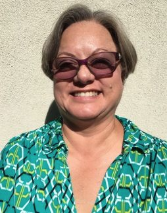 Lina is most likely the first person you will meet in person or speak with over the phone, as she is the main patient coordinator at the front desk. 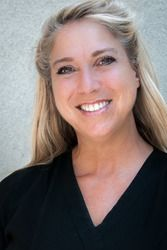 We are so glad to benefit from her many years of experience in the dental industry, as well as her natural kindness and much appreciated people skills. ​She will gladly answer any questions you may have prior to your visit, as well as coordinating all aspects of each of your appointments. 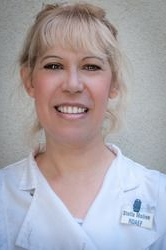 Stella has been in our office for over 15 years, and is well versed in every aspect of dentistry. Her superior technical skills combined with her natural easy-going and friendly demeanor will help make your visit to the dental office as comfortable as possible. 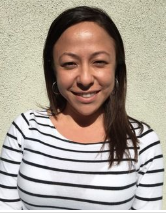 Ana has been with us for over 5 years, and is extremely competent in assisting the doctor with every procedure we perform, from routine treatments to implants, gum surgery, root canal, and orthodontia. ​You will feel like you are in good hands with us in her presence, as her patience and professionalism, as well as her ability to anticipate the needs of others, perfectly complement our doctor's skills and attention to details. 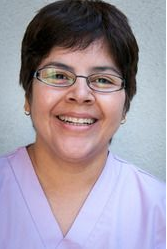 Angela is a wonderful dental hygienist and has been with us for over 15 years. She will make you feel at ease and certain that your dental cleaning was the best you have ever had. She will also go over with you any problem areas she might need to point out, and be very patient answering any questions you may have to set you on the right path to properly maintaining your oral health. Many years ago after graduating from USC, Diana came to join our team and has been impeccable ever since. 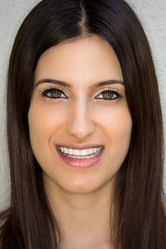 We rely on our team of hygienists to educate patients on how to maintain the best home care between appointments, as well as finding any potential sources of trouble before they become significant, and Diana is one of the best in the business at accomplishing this goal. Gita has been a vital part of our team for over 6 years, and we benefit greatly from her meticulous approach to her profession. 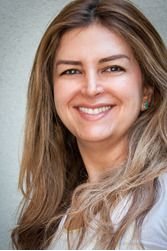 She draws invaluable experience from her many years of working in periodontal offices, and always strives to take excellent care of each of her patience, always willing to go the extra mile for them. Dr. Carlston graduated from Baylor Dental College in Dallas, Texas. He is a member of the American Dental Association, the California Dental Society and the Los Angeles Dental Society; and has received extended education in Orthodontic treatment protocol. He has been providing conventional orthodontic treatment for his child and adult patients his entire career. For the past 20 years Dr. Carlston has been also treating our orthodontic patients with Invisalign techniques. Dr. Carlston attends continuing education courses to keep abreast of the latest techniques and materials within the dental discipline. He provides conservative restorations by preserving as much of the natural tooth structure as possible. He became a Biomimetic Dentist over 10 years ago, and considers dental enamel to be “sacred”; so he avoids invasive full coverage dental crowns whenever possible. ​Dr. Carlston uses an intraoral camera to project images of the teeth on the monitor in front or our patient. This camera magnifies the subject condition 50 times so that our patients can see the condition that we recommend taking care of. A picture truly does paint a thousand words!